Henna Tattoos - Wareh Art Inspired by Nature . 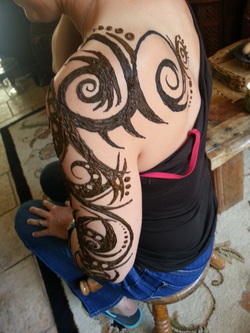 Henna is an ancient tradition dating back to when the Middle East was called Ancient Sumeria. Made from the plant Lawsonia Alba, Henna carries not only decorative symbolism but Medicinal purpose. Before using henna paste to decorate hands and feet, it was used as a cream to ease the pain of arthiritus and other illnesses that relate to blood circulation. Over the centuries, Henna shifted from Medicinal purposes to hair dye and decorations for hands and legs for weddings, events, and parties. Sama Wareh has been doing henna for more than 16 years and has been on the Hallmark channel for her skills in intricate designs. 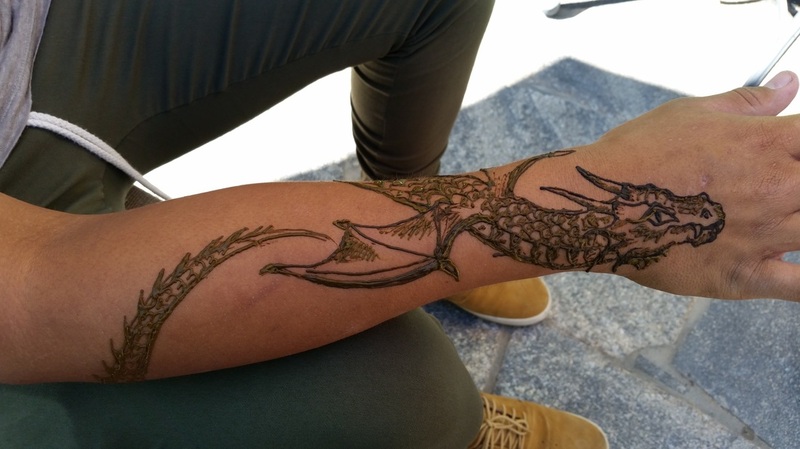 She has done henna for Warner Bros, Element Skate Company, O'Neil, Tillys, Universities, and Public and Private Schools in Orange County. Having an Event and need more info?